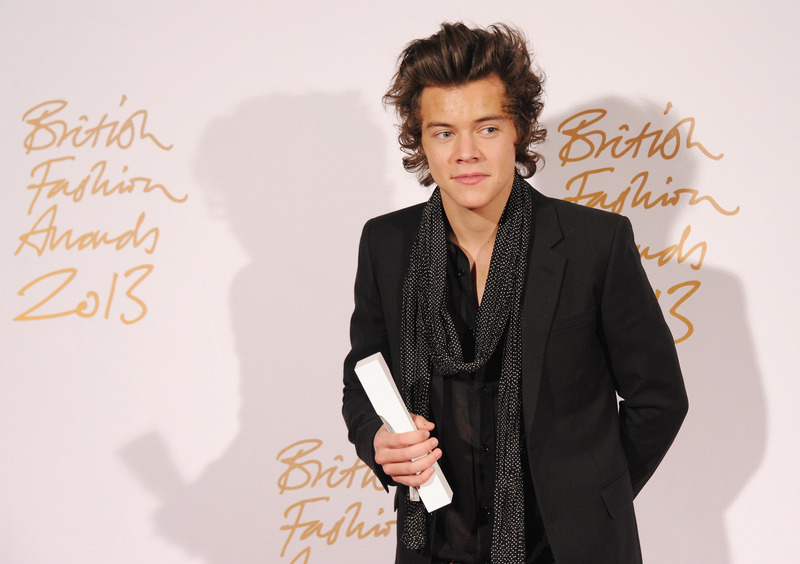 Recently, Harry Styles' love life has been brought into the spotlight. Actually, it's kind of always in the spotlight, considering he's a member of One Direction, aka a ridiculously popular boy band. Whether speculation about his past feelings for Taylor Swift or him potentially being bisexual, people love to talk about Harry's relationships. While no one knows the answers on those aforementioned topics (besides him, of course), there is one thing that's clear: Harry Styles definitely has a type. A look back at three of his most famous rumored exes — Taylor Swift, Cara Delevingne, and Kendall Jenner — shows that he has specific preferences for his romantic partners. Someone you can have fun with — I like someone who’s up for doing stuff in terms of like, trying new things and going out new places. Not just someone who does nothing and wants to sit around. Those are all great qualities to look for in a person. He's also previously listed these traits as appealing: "Sense of humor and natural... Someone who’s nice." Based on these factors, his three most well-known exes seem to fit the bill. Maybe it's just a coincidence, but let's examine the evidence anyway. Regardless of any supposed nay-saying by Katy Perry ("Regina George in sheep's clothing"), Taylor Swift is practically a saint. She's the definition of a "nice" girl, who is always doing kind things for other people — just look at her 1989 listening parties! They also seemed to always go on adventures together, as we learned in her song "Out of the Woods." Although this ultimately didn't work out, she still fits the traits that Harry finds most appealing. It's actually iffy whether these two were a legit couple. He apparently had a crush and the two hung out together quite a bit, but it was short-lived. Either way, based on her hilarious Instagrams, she fits the description of having a sense of humor. She also seems to always be up for an adventure. Plus, duh, she's a supermodel. Of course she's got a great smile! Nice person? Check. Good smile? Check. Sense of humor? Check. Did you see how she was able to poke fun at herself when she messed up the name of 5 Seconds of Summer at the Billboard Music Awards. So yeah, Kendall Jenner also seems to have been exactly Harry's type. While it's fun to look back and analyze his past relationships, this doesn't mean it should limit who he dates in the future. After all, he can date whoever he wants! And if they all seem to fit this same pattern, that's great. If not, that's perfectly fine too!